100% organic aloe vera combined with natural fruit juices and herbal tea infusions provide the nutritional power of aloe to support your immune and cellular health*. Always needing a snack? Us too, which makes it hard to manage weight! Now we’ve got a solution to that pesky snacking problem. Ingredients: Dried Cane Syrup, Brown Rice, Syrup, Sunflower Lecithin, Palm Oil, Rice Syrup Solids, Natural, Flavors, Cornstarch, Potato Extract (Proteinase Inhibitors (Pi2PI2) (Tubers)), Potato Maltodextrin, Citric Acid, Malic Acid, Glycerin, Fruit And Vegetable Juice (For Color), Invert Sugar, Rice Protein, Mixed Tocopherols (To Preserve Freshness). 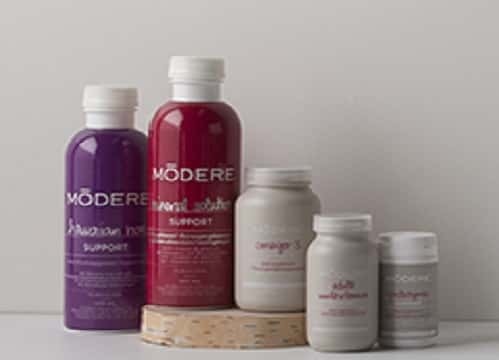 Keep your body amazing and awesome with Modere™ Mineral Supplement, providing an abundant supply of minerals, vitamins, and amino acids. Fulvic acid complex to provide restoration and balance to the body. This is a feel good blend to keep you healthy and happy (Adaptogen). Essential Minerals to support overall wellness and health. Our bodies need minerals to carry out their everyday functions (Daily Maintenance). Amino Acids to support cellular health and function (Cell Health). Antioxidant profile featuring Beet Root powder to help protect the body from free radical damage. Ingredients: Microcrystalline Cellulose, Inulin, Hypromellose, Maltodextrin, Stearic Acid, Silicon Dioxide, Bacillus coagulans, Lactobacillus acidophilus, Bifidobacterium longum, Bifidobacterium bifidum, Lactobacillus casei, Bifidobacterium lactis. Contains Soy, Milk, and Wheat. 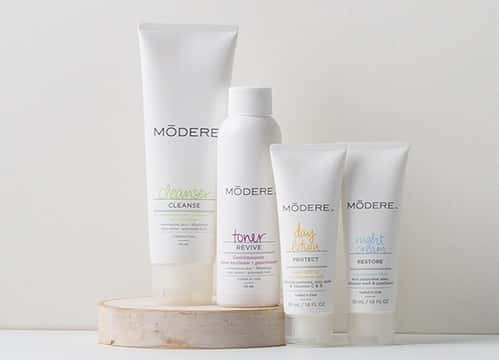 Modere Digestive Enzymes provides your body with the essential enzymes to help digest proteins, carbohydrates, and fats in order to reduce the symptoms of bloating, flatulence, and occasional heartburn. Carbs can be a stumbling block. Now we’ve got a block for that block! 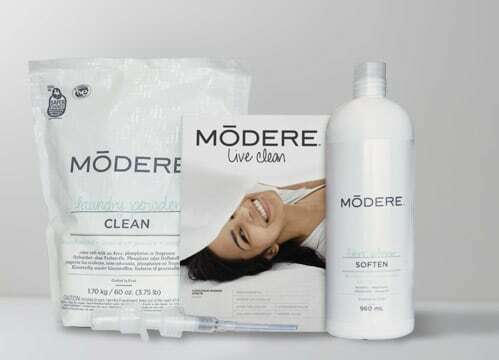 Carb Blocker by Modere delays the digestion and absorption of carbohydrates*. Supports your weight management goals. Ingredients: White Kidney Bean Extract, Hydroxypropyl Methylcellulose, Microcrystalline Cellulose, Gum Arabic, Hibiscus Flower Extract, Stearic Acid (Vegetable Source), Maltodextrin, Silicon Dioxide. Whether you're an athlete or not, physical exertion has its downside. From running and weight training to manual labor, we all suffer from the stresses of life. 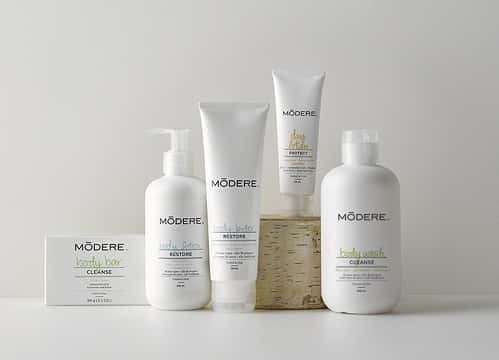 Massaging with Modere Sports Rub is the perfect treat your body deserves at the end of a long day. Ingredients: White willow bark extract, Capsicum extract, Arnica extract, Ginseng extract, Lysine aspartate, Menthol oil, Peppermint oil. It’s dessert before dinner! This gluten free, chocolate fiber drink mix not only tastes amazing, but also controls your appetite and keeps things moving. This is where many weight loss programs fail – you lose weight just to put it back on again. 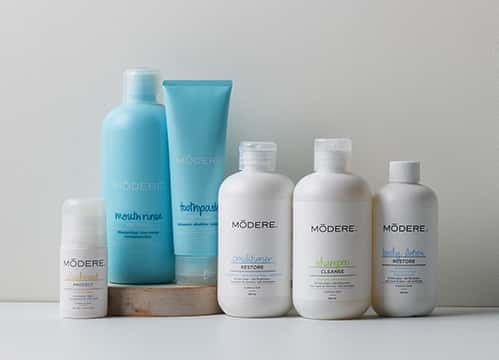 **Modere Independent Representative. Results after 90 days: Results not typical. Customers who follow the program including exercise and reduced calorie diet can expect an average weight loss of 1 to 2 pounds per week. 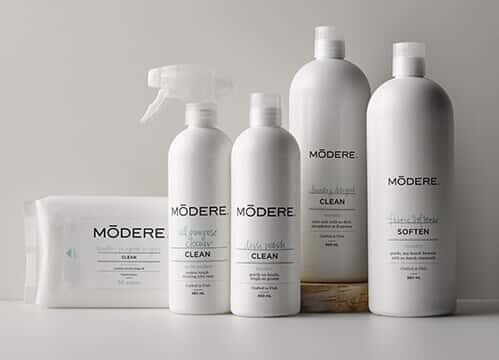 **Modere Independent Representative. Customers who follow the program including exercise and reduced calorie diet can expect an average weight loss of 1 to 2 pounds per week. Glycerin (natural vegetable based), Conjugated Linoleic Acid (from Safflower Oil) (Omega-6), Purified Water, Liquid BioCell® (Hydrolyzed Collagen Type II, Chondroitin Sulfate, Hyaluronic Acid Matrix), Sunflower Oil, Natural Flavors, Citric Acid, Potassium Bicarbonate, Vitamin E (as Alpha Tocopherol from Vitamin E Succinate), Gum Acacia. Clarinol® is a registered trademark of Stepan Specialty Products, LLC. Collagen/HA Matrix Technology™ and Liquid BioCell® are registered trademarks of Biocell Technology LLC, Newport Beach, California, USA (Patent Protected).